Cape Cod, Massachusetts (NASA, International Space Station Science, 03/14/10) | Flickr - Photo Sharing! 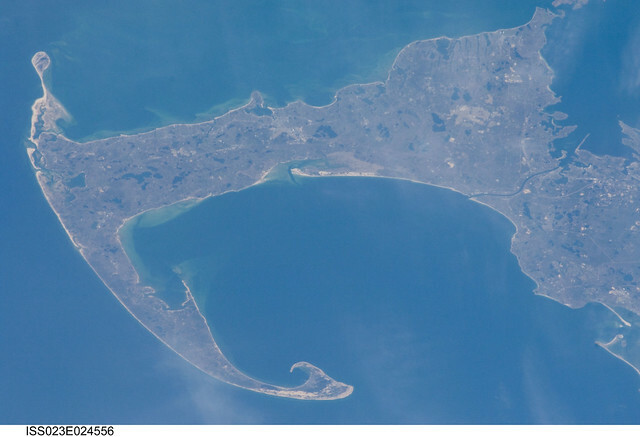 Cape Cod, Massachusetts, is the focus of this still image downlinked from the International Space Station while docked with the space shuttle Discovery. clyde_sostand, Chris Devers, and 24 other people added this photo to their favorites. For that matter, would it be possible to geotag these? It looks like visitors can't do it, but the person managing the account should be able to.